Roller Banners are a very effective advertising product. 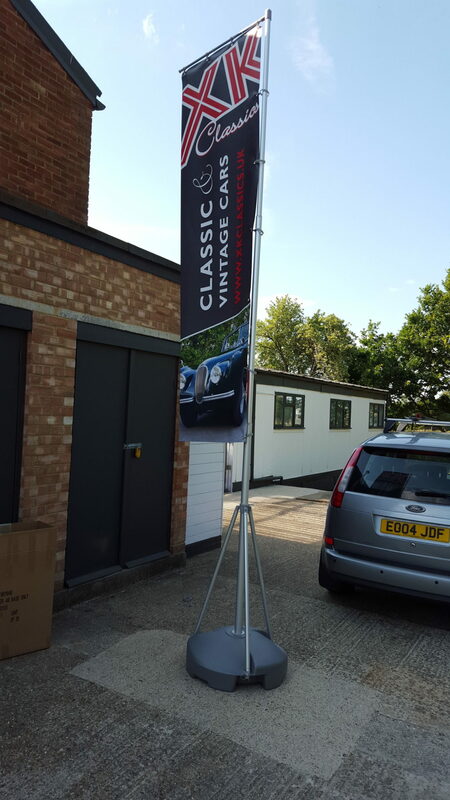 Easily transported and erected, they can add great visual impact to your seminar, sales promotion, staff training or awareness campaign. Normally pop-ups are either 800 or 1000mm wide and 2m high although they can be produced up to 1500mm wide. The printed material is a highly durable plastic film that is both tough and an excellent printable surface. Some models can be provided as double sided and viewable from either direction. With prices as low as £75.00, you will be surprised to see how cost effective this method of advertising is. Signtec Ltd can provide a wide range of poster cases for both internal and external use. Cases are made from highly durable aluminium, powder coated to a range of colours. The cases can be fitted to either a wall or posts that simply slide into channels at each end of the case. The glazing is 4mm plexiglass for safety. Contact us for sizes and pricing.